We ask for photos of faulty stock to be sent through to: [email protected] In an event of a cancellation for an order, a full refund will be issued. 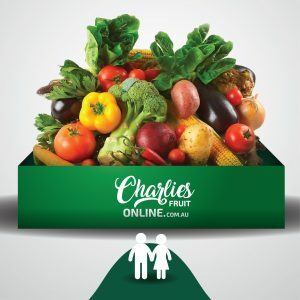 Who is Charlies Fruit Online partner for online card payments? Customer’s credit card transactions will be handled through National Australia Bank. At Charlies we are committed to the ongoing safeguarding of personal identification and payment information of everyone who shops or interacts with us. We strive to improve our business processes and the technology we use to protect our customer’s data. Charlie’s does not share, sell, rent or barter any identifiable personal information to any third party without your permission.